Tour the Childhood Home by itself or as part of a 3-building or 7-building tour. The Childhood Home, the treasure of our restored buildings, contains many family artifacts including furniture, canned goods, prints and artwork, and family photographs and books. Grandma Boak's room is exactly as described in "Old Mrs. Harris." Upstairs, a "story within itself," is young Willa's (and Thea Kronborg's in The Song of the Lark) small attic bedroom; Willa wallpapered this room herself, taking the wallpaper as pay for her work at Dr. Cook's drug store. The same rose-covered wallpaper is there today. The Childhood Home was donated to the Willa Cather Pioneer Memorial and lovingly restored by Dr. Wilbur Bennett and his wife, Mildred Bennett, who founded the WCPM. Later, that organization would become the Willa Cather Foundation. 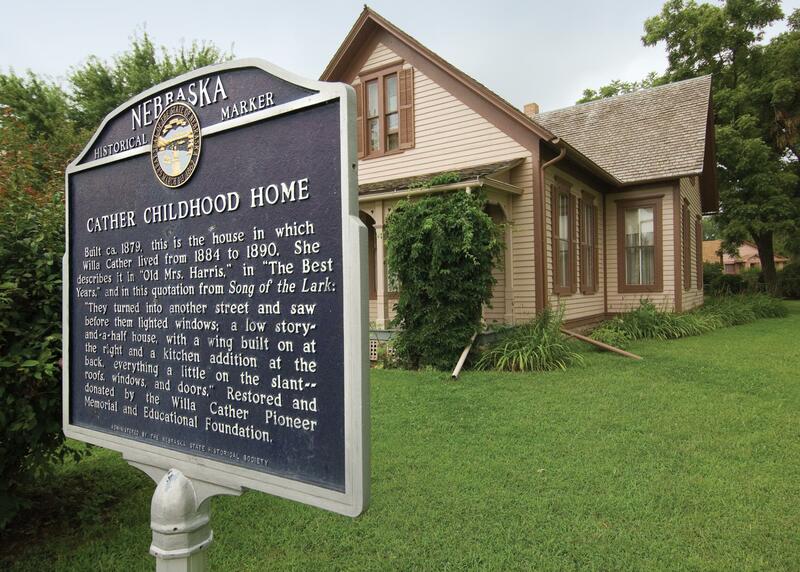 The Childhood Home is managed by the Willa Cather Foundation and maintained by the Nebraska State Historical Society.